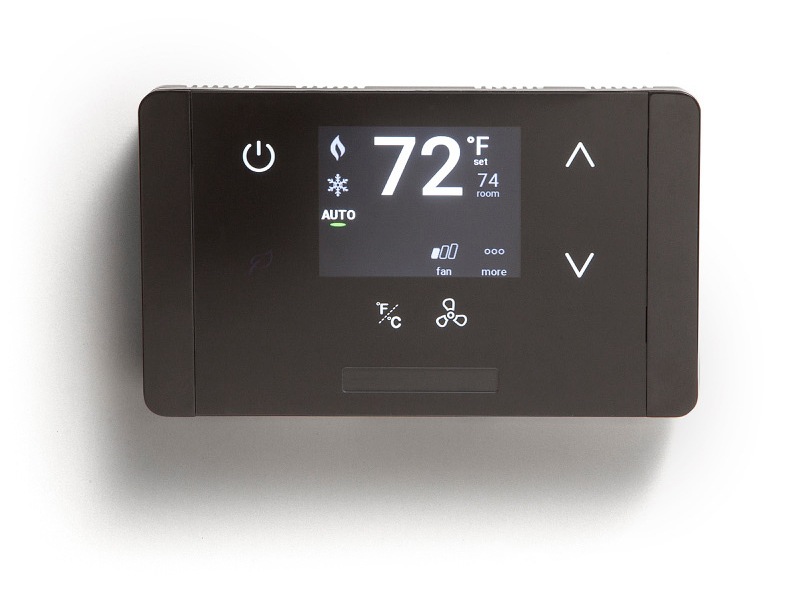 The EcoTouch wireless thermostat with internal occupancy detection offers a flexible state-of-the-art energy savings solution with a sleek, updated, ultra-thin and modern design. 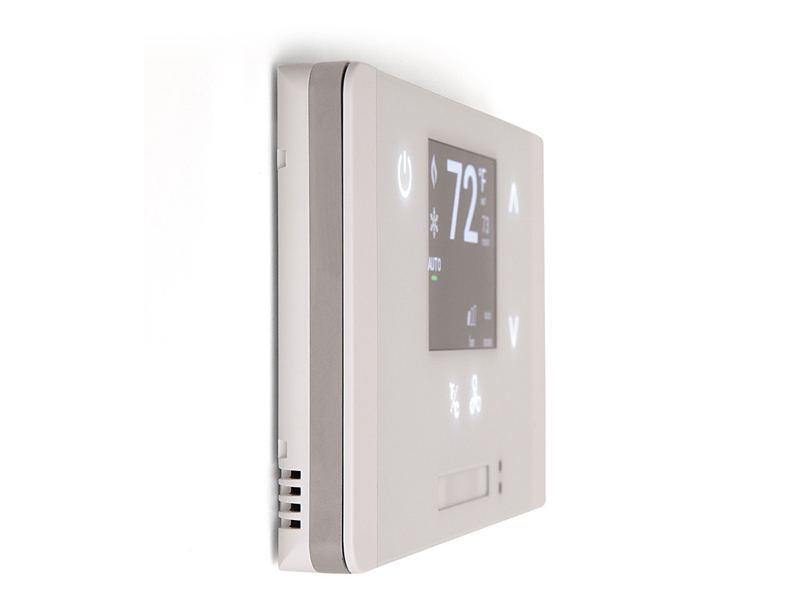 Our wireless remote display offers complete freedom to install the thermostat anywhere, integrating the EcoTouch into the overall interior design; and when room renovations dictate relocation, moving the thermostat only takes a few minutes. Telkonet boasts best-in-class occupancy sensing technology with ultra-sensitive wide-angle passive infrared and active IR detection. 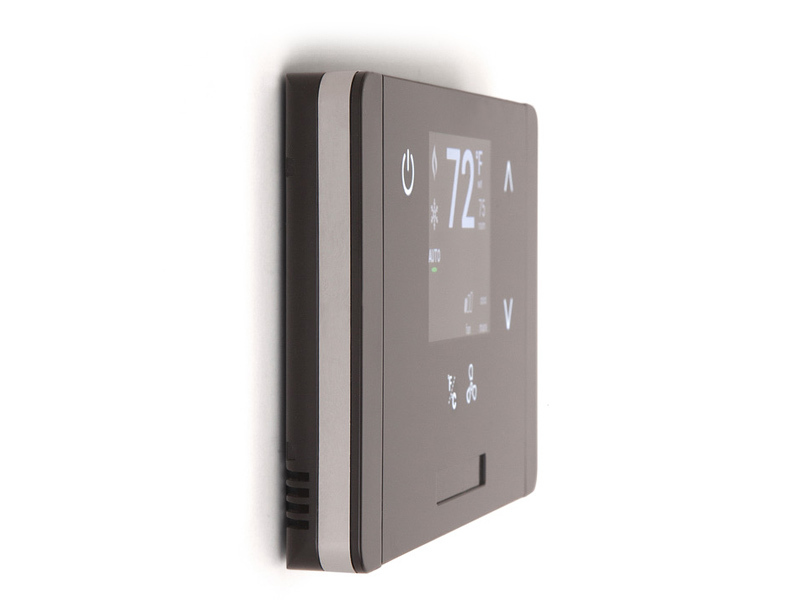 No more false readings: the EcoTouch+ will not switch to unoccupied mode when your guest is sleeping and it will not remain in an occupied mode when vacant. Provide your guest with an inviting welcome scene. 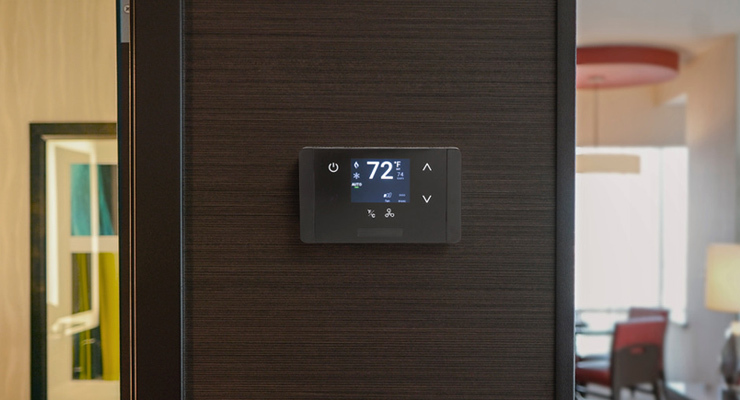 As soon as your guest checks in, the PMS alerts the EcoSmart system, and a new temperature setpoint is sent to the thermostat. 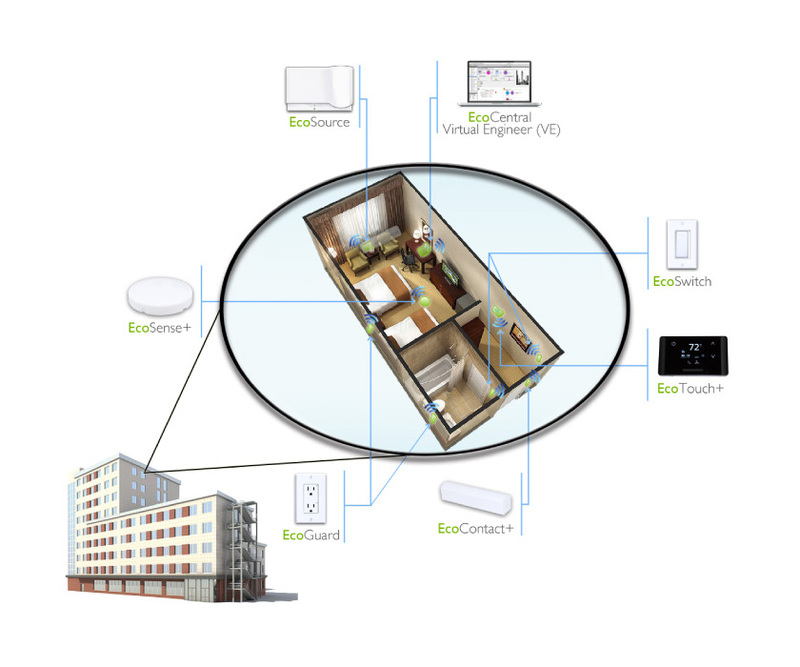 EcoSmart technology integrates seamlessly with other in-room technology providers such as Axxess Industries, Crestron, Control4, Lutron, Salto, Saflok, Somfy,Vingcard and many others that include entry locks, lighting, motorized shades and power outlets controlling the TV and lamps. Together, the EcoSmart energy management platform of wireless devices report back to EcoCentral. The energy monitoring system's data is analyzed and results in real-time reporting to track progress toward total efficiency goals. 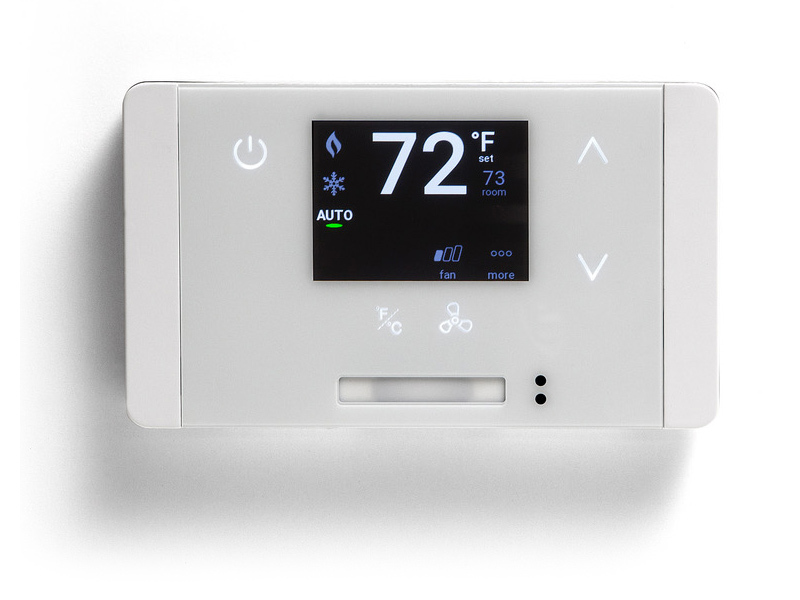 Installation is versatile, customizable and scalable. We understand no two buildings are the same and communicating over wireless networks offers flexibility, allowing for customized system designs that will work best for each customer.